Is XL Group Ltd (XL) Worthy of Your Portfolio? Hedge funds and large money managers usually invest with a focus on the long-term horizon and, therefore, short-lived dips on the charts, usually don’t make them change their opinion towards a company. The second half of 2015 and the first few months of this year was a stressful period for hedge funds. However, things have been taking a turn for the better in the second half of this year. Small-cap stocks which hedge funds are usually overweight outperformed the market by double digits and it may be a good time to pay attention to hedge funds’ picks before it is too late. In this article we are going to analyze the hedge fund sentiment towards XL Group Ltd (NYSE:XL) to find out whether it was one of their high conviction long-term ideas. Is XL Group Ltd (NYSE:XL) a great stock to buy now? Among the funds in our database, the company saw a slight increase in popularity. More specifically, 22 funds held shares of XL Group at the end of September, up by one fund from the end of June. At the end of this article we will also compare XL to other stocks including Juniper Networks, Inc. (NYSE:JNPR), Tripadvisor Inc (NASDAQ:TRIP), and Advanced Semiconductor Engineering (ADR) (NYSE:ASX) to get a better sense of its popularity. With all of this in mind, let’s check out the latest action regarding XL Group Ltd (NYSE:XL). At the end of September, 22 funds tracked by Insider Monkey were bullish on XL Group, which represents a change of 5% from the previous quarter. 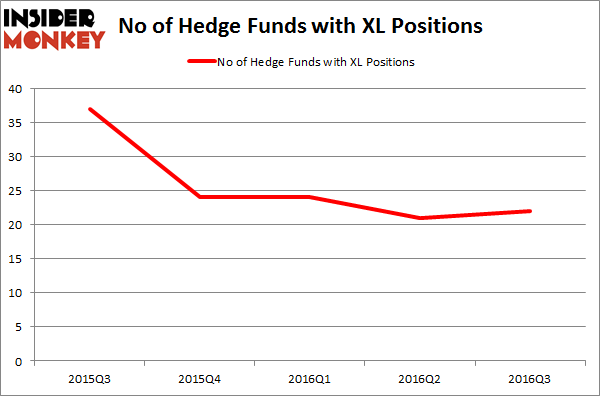 Below, you can check out the change in hedge fund sentiment towards XL over the last five quarters. With hedge funds’ sentiment swirling, there exists a select group of notable hedge fund managers who were boosting their holdings meaningfully (or already accumulated large positions). According to publicly available hedge fund and institutional investor holdings data compiled by Insider Monkey, Richard S. Pzena’s Pzena Investment Management has the largest position in XL Group Ltd (NYSE:XL), worth close to $170.6 million, comprising 1% of its total 13F portfolio. Sitting at the No. 2 spot is Ken Griffin’s Citadel Investment Group, with a $90.2 million position; the fund has 0.1% of its 13F portfolio invested in the stock. Some other professional money managers that are bullish encompass Robert Pohly’s Samlyn Capital, Ric Dillon’s Diamond Hill Capital and Jim Simons’ Renaissance Technologies. We should note that none of these hedge funds are among our list of the 100 best performing hedge funds which is based on the performance of their 13F long positions in non-microcap stocks. These funds also established stakes during the third quarter. On the next page, we’ll compare XL Group’s popularity among smart money investors to other companies with similar market caps. 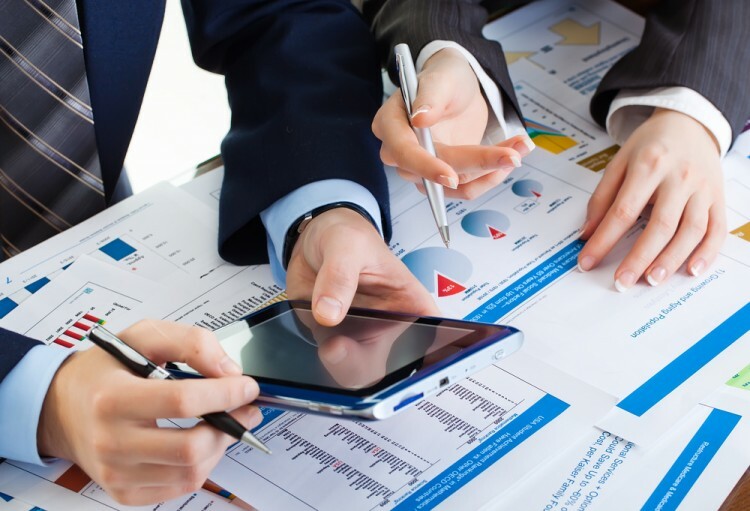 Vince Holding Corp (VNCE): Hedge Funds Keep Heading Elsewhere Helen of Troy Limited (HELE): 73% Surge in Smart Money Ownership; What’... Is It Time to Buy Ultra Clean Holdings Inc (UCTT)? Smart Money Thinks So. Is Cabot Corp (CBT) A Good Stock to Buy? Should You Get Out of UniFirst Corp (UNF) Now? Hedge Funds Are. Is Vitamin Shoppe Inc (VSI) Going to Burn These Hedge Funds?